Marlboro, N.J. â€“ September 5, 2012 -Â KEF, the renowned manufacturer of innovative, reference-quality loudspeakers, enters into an entirely new product category with the launch of the X300A digital hi-fi desktop speaker system. The X300A is a premium loudspeaker system that was developed to offer the highest sound reproduction possible from the listenerâ€™s computer and all of todayâ€™s popular smartphones and tablets, includingÂ AppleÂ®Â iPodÂ®, iPhoneÂ®Â iPadÂ®, AndroidÂ®Â and Kindle FireÂ®Â devices, via distortion-free USB input. Unlike typical powered computerÂ speaker designs,Â each X300A speaker utilizes two Class AB audiophile-grade amplifiers â€“ one dedicated for HF and one for LF/MF â€“ complete with a toroidal transformer, which significantly reduces the normal â€œhumâ€ heard while playing most powered speakers. The X300A was designed to mirror the performance of the best in professional studio monitors with an impressive output of 150W of power per channel at 1kHz. To get the very best from the twin class AB amplifiers, the X300A features KEFâ€™s patented Uni-QÂ driver array, adapted from KEFâ€™s flagship Blade speaker. 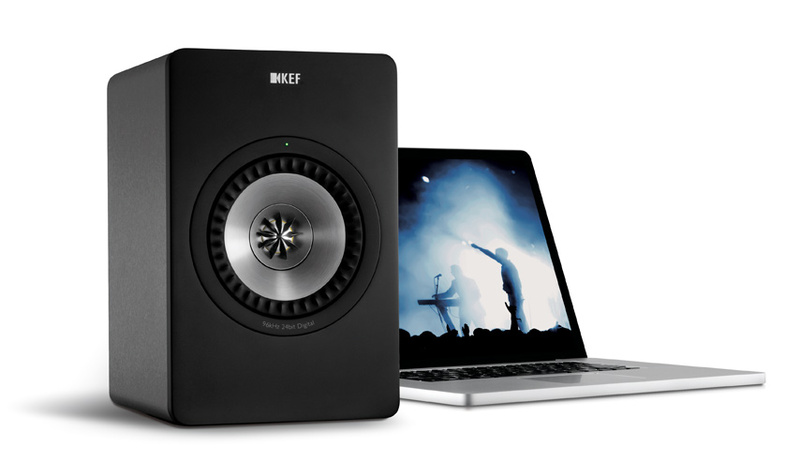 KEFâ€™s Uni-Q arrayÂ places the tweeter in the acoustic center of the woofer. This allows both the woofer and tweeter to act as a single, focused source of sound that is dispersed widely and evenly throughout a room or settingâ€”a feature not found on any other loudspeaker brand. The 5.25â€ driver array is neatly housed within a die-cast aluminum chassis to help prevent resonances and creates a more accurate sound. With other innovations such as the Z-flex surround for a smooth transition between cone and cabinet, and large neodymium magnets with copper caps to reduce inductance and distortion, the Uni-Q driver array provides a wide, clean and detailed sound field, whatever source your music is coming from. The X300Aâ€™s USB connection provides lossless, high-resolution sound from any computer, smartphone or tablet courtesy of a 96kHz/24-bit digital input featuring an integrated audiophile-quality digital/analog converter (DAC). This assures that when a listener connects to the X300A, they will bypassÂ the sourceâ€™sÂ internal DAC resulting in accurate, high resolution playback from whatever source is connected, whether itâ€™s a phone, tablet or computer. In addition to the USB connection for smartphones, tablets and computers, the X300A offers wireless playback viaÂ an optional BluetoothÂ® receiver (dongle) or can be usedÂ with Apple Airport ExpressÂ®. 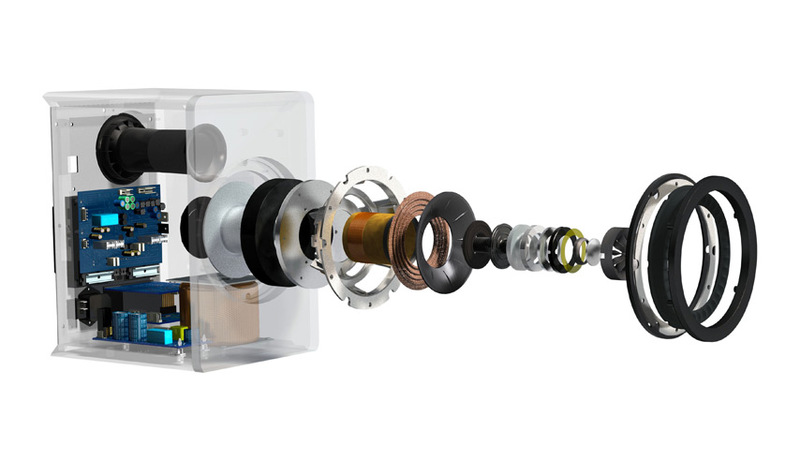 A backup 3.5mm analogue connectionÂ is included with the X300A to offer an even greater level of functionality with the use of alternative hi-fi components. The speakerâ€™s adjustable EQ modesÂ compliment a â€œDeskâ€, â€œStandâ€ and â€œDesk/Wallâ€ mode allowing the speaker to beÂ optimized specifically for any application. To maximize sound performance, the listener simply selects the â€œDeskâ€ or â€œStandâ€ mode by a switch on the rear panel of the master speaker, or chooses the â€œDesk/Wallâ€ by inserting the included foam plugsÂ to the rear mounted reflex port on each speaker. The X300A comes in a brushed gun metal finish and will be available Fall 2012 with a price of $799.99/pair. For more information on KEF, please visitÂ http://www.kef.com.